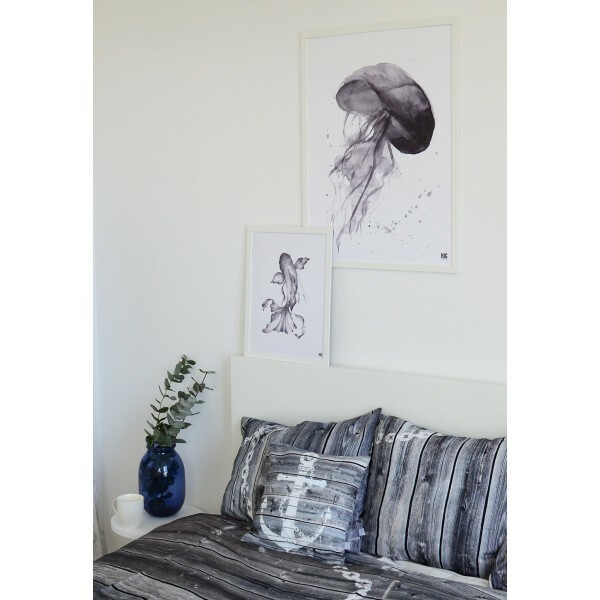 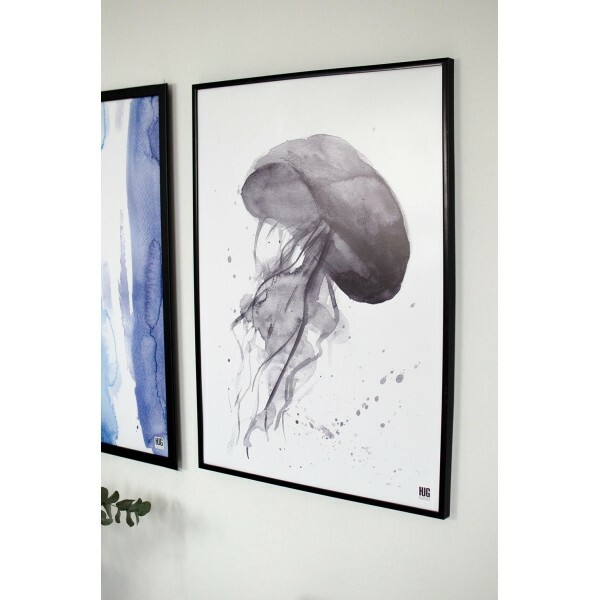 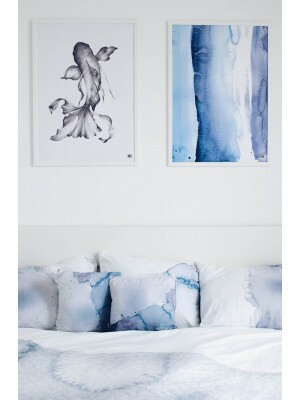 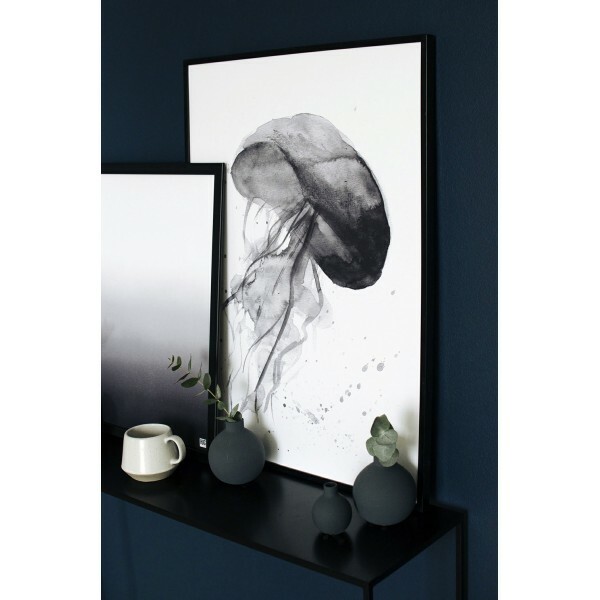 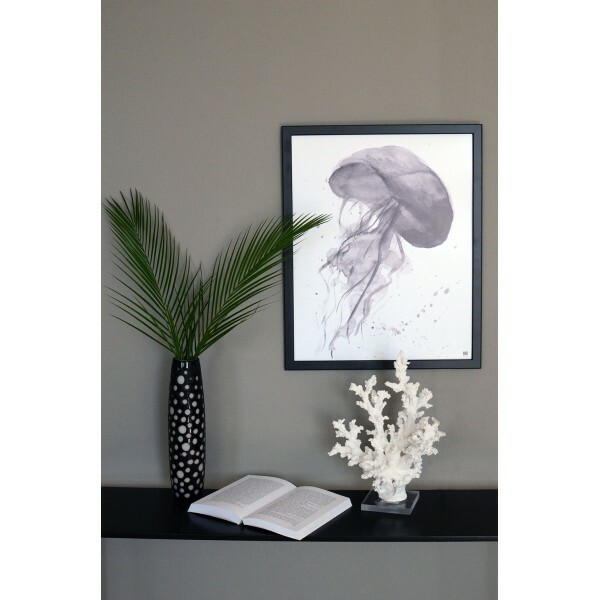 A poster with a sea motif depicting a floating jellyfish in gray colors. 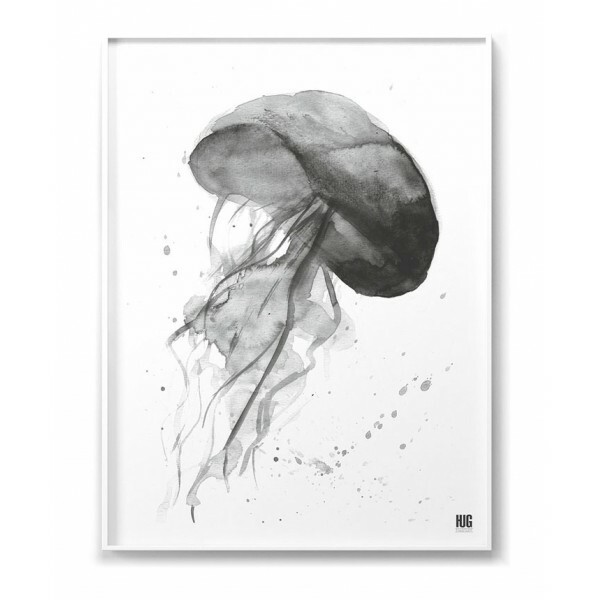 An extraordinary and minimal style illustration. 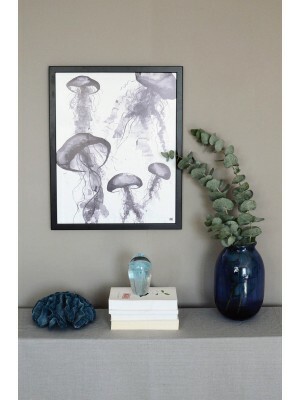 A perfect poster for the living room, bedroom or bathroom. 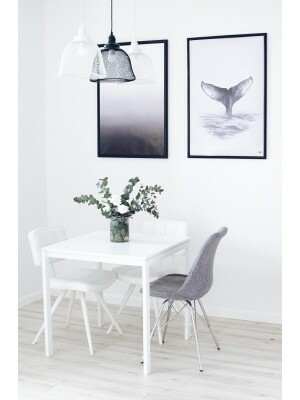 It looks beautiful in interiors in a modern, scandinavian or marine style. 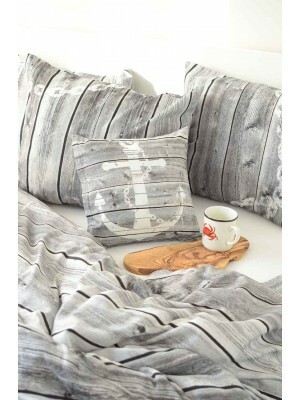 Marine motifs can appeal to all lovers of spending time by the sea. 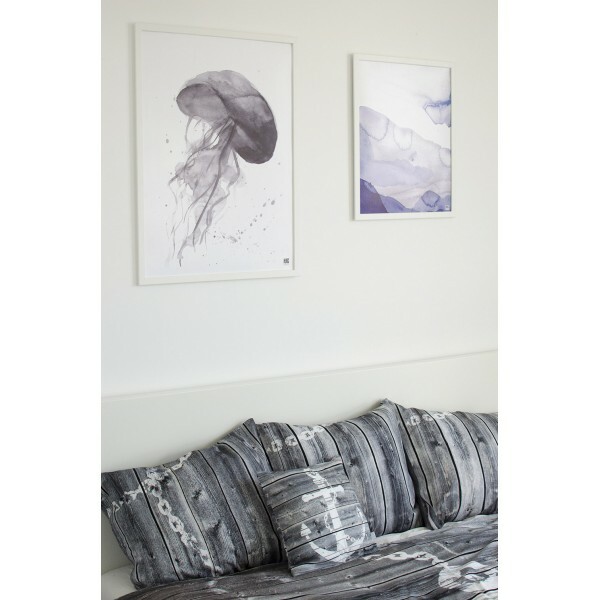 The graphics perfectly harmonizes with other posters from the same collection.